Entry-level nursing jobs can be achieved through a two-year (or less) course of study, while advanced nursing positions require an advanced degree. A two-year associate's degree program at a college or university provides students the opportunity to become a registered nurse; this in turn opens the door to continued training through a bachelor's degree program (BSN) or even a master’s degree and the title advanced practice registered nurse (APRN). In Georgia, RNs have the potential to earn $63,600 per year, while APRNs with a master’s degree can earn $88,840 or more annually depending on field of specialization. When selecting a nursing program, an important question to consider is: public or private? A public college or university receives part of its funding from state taxpayers. A private college or university receives its funding from gifts, grants, endowments, and the students that are admitted. While public colleges and universities may therefore be less expensive than their private counterparts, private colleges and universities offer smaller class sizes that enhance the learning experience and prestige that improves nurses' employment prospects after graduation. 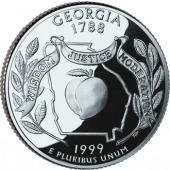 Georgia has almost 20 private colleges and universities with accredited nursing programs. These include Emory University in Atlanta, Wesleyan College in Macon, Brenau University in Gainesville, and Shorter University in Rome. The major hospitals in Georgia do the majority of the nurse hiring, so consider starting your job search there after graduation. Major nursing employers in Georgia include Emory University Hospital in Atlanta, Athens Regional Medical Center in Athens, Medical Center of Central Georgia in Macon, and Kennestone Hospital in Marietta. To assist prospective nurses in making these important educational choices, we’ve compiled and included below a list of accredited private Georgia nursing schools.